A few years back, leaders in Des Moines, Iowa, faced a common dilemma. While there was no shortage of people and organizations working to better the community, there was little alignment or master planning to coordinate the efforts. Recognizing the potential of a more integrated approach, the Community Foundation saw the unique opportunity to play a key leadership role in creating a sustainable future vision for Greater Des Moines. 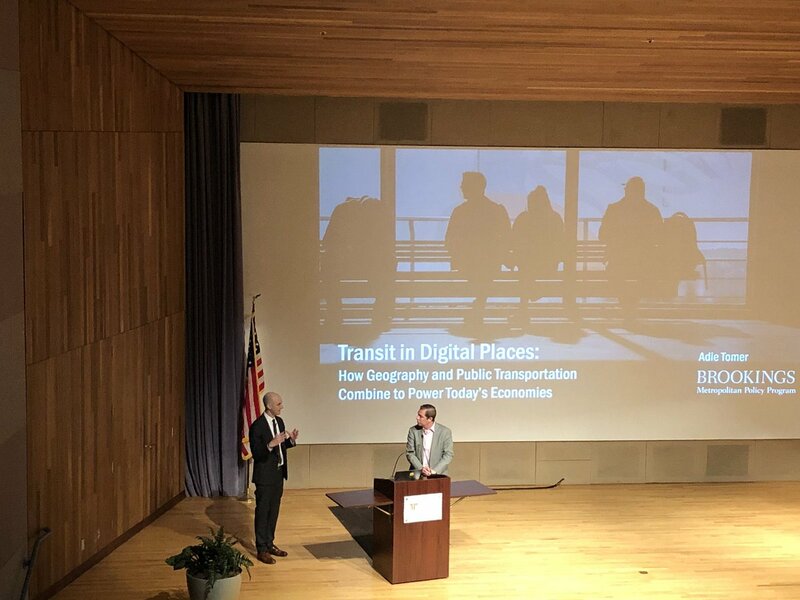 The Foundation, working with the Greater Des Moines Partnership, took the lead in engaging eight sponsor organizations and a 50-member steering committee to develop and execute the plan. The result has been a dynamic and unprecedented community planning process known as Capital Crossroads. The effort led to the creation of a regional roadmap that includes 10 areas of focus to move the community forward. Since its inception about five years ago, Capital Crossroads has led to deeper community engagement and measurable results. It has also positioned the Foundation as the go-to organization to lead community change. Of course, a frequent outcome to ambitious community efforts is that after the research and initial work are done, interest fades and the study collects dust on a shelf. Keenly aware of that risk, Knous said that from the very beginning organizers focused on creating a sustainable effort. She points to several key approaches that helped ensure that Capital Crossroads would have a strong start and maintain long-term momentum. One of the first steps was to make sure that key decision makers from business, government, education, health care and the non-profit sector were fully engaged in the process. While big hitters assumed a leadership role, organizers also focused on making sure that voices from every sector and of the community were heard in an effort to better pinpoint the priorities and get broad buy-in. To that end, more than 5,000 local voices contributed to the process via one-on-one interviews, focus groups and online surveys. The information and opinions that citizens shared was collected and assessed to get a clearer picture of current perceptions of the community and areas that needed the most attention. Organizers also drew on outside help, recognizing the value of tapping the resources and expertise of a consulting firm that had overseen similar efforts in other communities. The firm that was selected was able to provide ongoing guidance as well as the framework to keep the effort going beyond the initial enthusiasm. The end product of the planning, research, and information gathering was a dynamic plan that drew on all the input and insights to focus efforts in 10 integrated priority areas. For instance, the “Capital Core” focuses on revitalization of the “core city” with the understanding a thriving center city is vital to the overall welfare of Greater Des Moines and Central Iowa. Meanwhile, “Business Capital” focuses making sure on economic development and employment creation is centered on Central Iowa’s most competitive and highest-value target sectors, thereby maximizing investment in capacity-building, supportive resources, programmatic development, and internal/external marketing. “Cultural Core” recognizes that a region cannot be world-class without a comprehensive, consistent and fiscally aggressive commitment to the arts as a critical driver of economic, community, tourism, and quality of life development. Knous says that there have been measurable results across the 10 areas. Each area of focus has a committee and leadership that is accountable for tracking progress and making sure the efforts are integrated with the broader community goals. As time goes on, the Foundation’s day-to-day responsibilities associated with Capital Crossroads have decreased with the operation of the program transitioning to other organizations. Organizers have done a mid-course assessment of the effort, identifying key wins, areas that need additional attention, and looking for ways to keep momentum going. Knous believes Community Crossroads will continue to united the community behind shared priorities and will remain an effective vehicle for positive change. Ultimately, she says, the effort has led to a stronger, more vibrant community — and a more high profile and engaged community foundation.